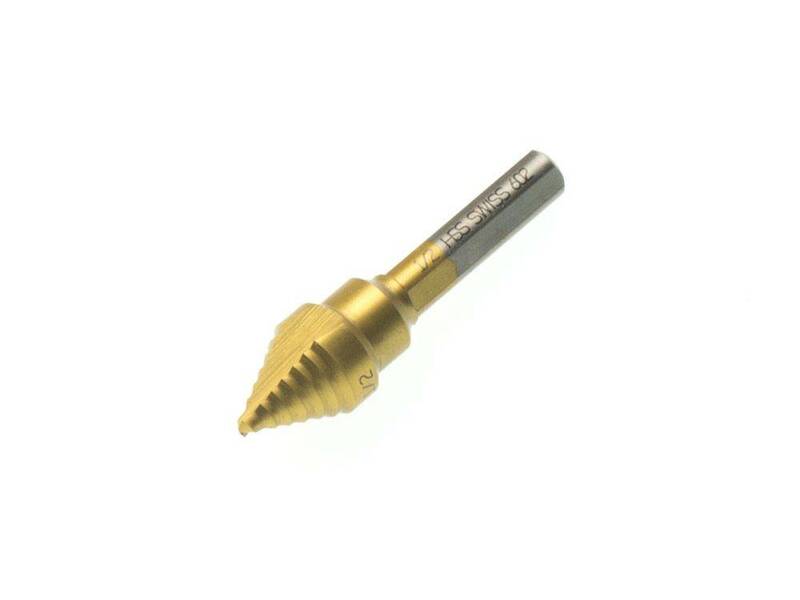 Magna Tree Bit 0,5” (1,27 cm) 9 step drillbit. 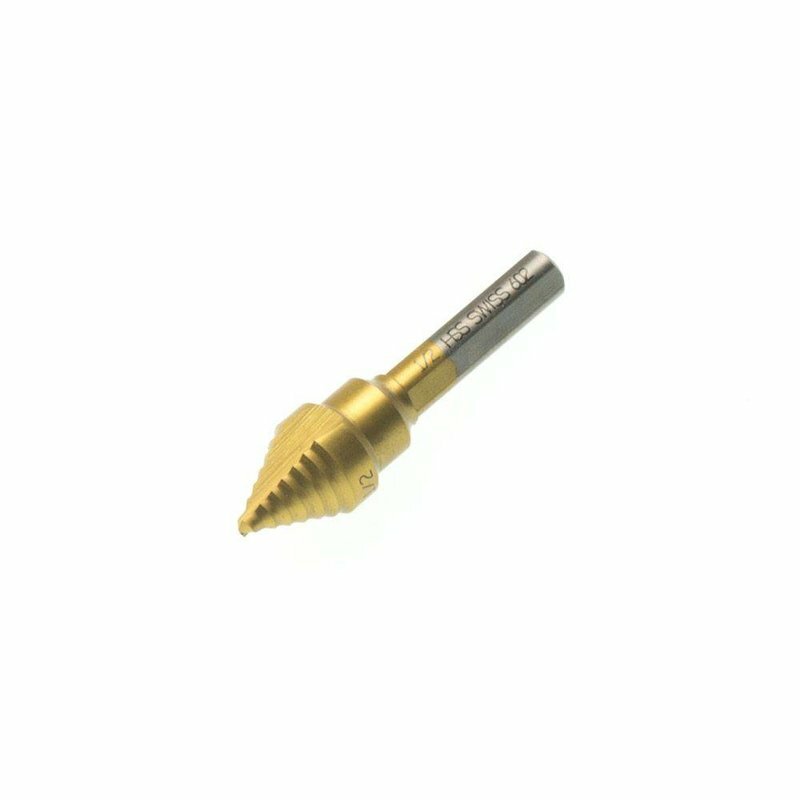 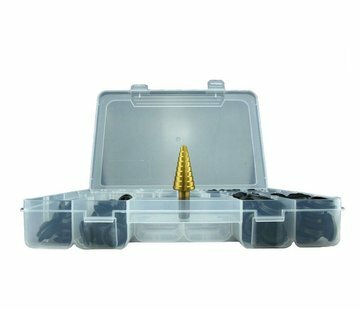 This bit starts with a sharp point and covers all the standard plug sizes up to and including 0,5”.This drillbit drills through steel, cast iron, stainless steel, aluminum, brass, Copper, plexiglass, PVC, plastic, wood, and wood composites. 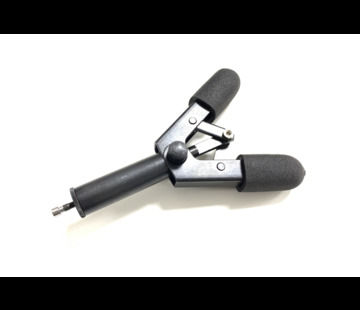 Made of titanium for reduced heat and longer life. 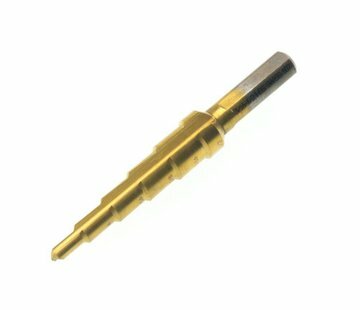 Automatically deburrs holes.